Google’s taking the age-old concept of trusted, tight-knit communities in India digital with the introduction of Google Neighbourly. 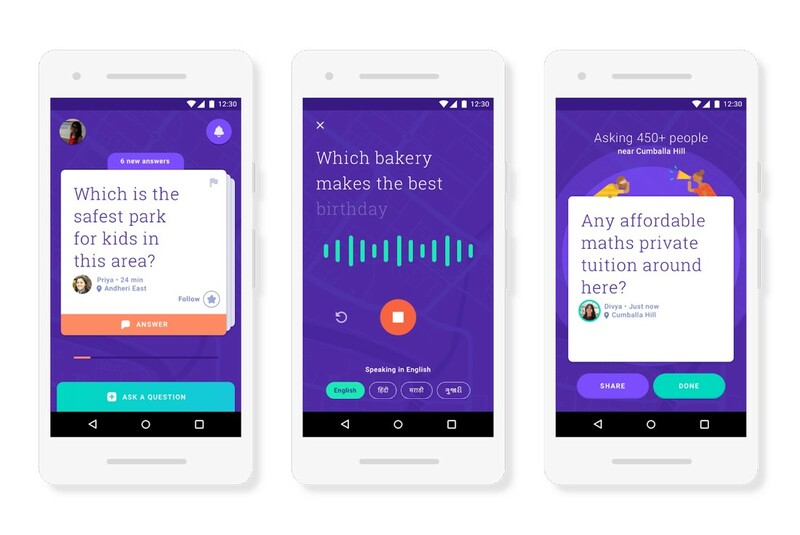 Announced via the Official Google India blog earlier today, Neighbourly is supposedly going to have answers to all our questions regarding our very own neighbourhood. This is the latest in Google’s foray into the Indian Markets as a part of its “Next Billion Users” initiative. Following the hugely successful mobile payments app Google Tez and the (not so successful) food delivery service Areo, Google Neighbourly arrives with an ambitious aim of replacing your all-knowing next door neighbour. The primary goal of the app is to enable local communities to find answers to everyday questions about the locality, life and more. In this “Age of Renters“, the surroundings and the people around you keep changing. You might not know who lives down the road or next door. Even if you do, who has the time to stop by and ask something other than on a coordinated weekend? Group chats and community pages on Social Media used to take care of these things but let’s admit, they’ve gotten way too big and noisy to be of any real use. Finding out who your neighbours are and adding them to local WhatsApp groups just doesn’t work anymore (see above). The only consistent things coming out of group chats nowadays are the ever-exciting “Good Morning” texts and Google agrees with us that they’re useless. The app displays Questions and answers in a stacked-card format where you can swipe right or left to read/discard them (sound familiar? 😉 ). You can type in a question or say it out loud & voice recognition will take care of the rest. The question is routed to neighbourhood experts who post answers and you choose the one best suited for your requirement. These “experts” will be determined by a ranking & personalization system in the app’s algorithm that ranks users based on how helpful their answers have been and how well they know the community. Badges are earned by being helpful which will be displayed alongside profile pictures. Neighbourly automatically adds you to a community in your neighbourhood right when you sign-up. That raised a few obvious questions about safety and the possibility of stalkers automatically adding you to their lists as well. Well, nothing but your first name is going to be displayed in the app. Ever. All the personal information you enter while signing up (phone number, full name, exact location) are kept private and never shared with anyone. Your profile photo will never appear bigger than a button with no way of screenshotting it for misuse. No private messaging ensures that the only communication on the app will be in the form of Q&As. To tackle spam & vulgarity, users can flag any content they find inappropriate & unsuitable. Flagged content is passed onto a trusted local mod who can take the appropriate action. To avoid any of the above from happening, all users have to agree to the “Neighbourly Promise” during sign-up before proceeding to use the app. Granted, the Internet is full of creeps who could care less about some ‘promise’. But I believe that an app centered around communities, cooperation, and a promise right from the get-go will have no “Hai beautiful” in it. Neighbourly is currently in beta and available on Android only in Mumbai with more cities on the horizon. Google Neighbourly is localized with English, Hindi, and Marathi being the languages currently supported with more coming as and when the app opens up to other major cities in India.